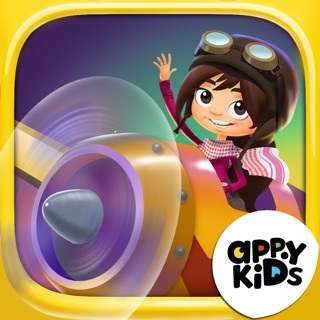 Learn Arabic reading and writing fundamentals in this fun adventurous game. Collect and grow your friendly pet monsters as you learn and complete different levels. 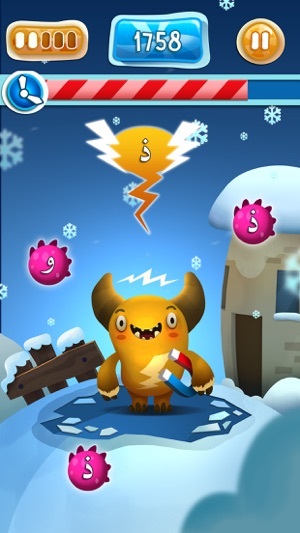 Feed the Monster uses exciting and proven play to learn techniques, and has been developed by experts in linguistics, education and in Arabic. 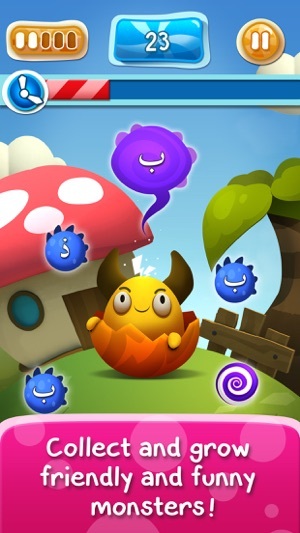 The game is developed and designed especially for kids, introducing an engaging and fun way to learn the essential skills for reading Arabic, while also providing a fun and safe learning environment with the friendly monsters you collect and feed. 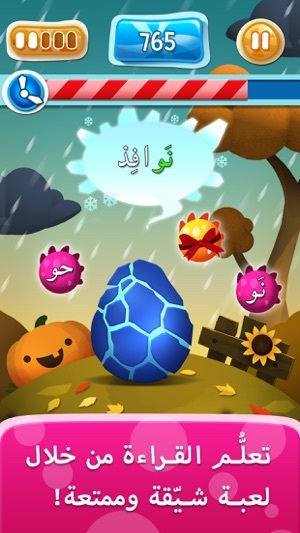 •	تحدّيات في "الوعي الصوتيّ"
Feed the Monster is an award winning game and was funded by the Norwegian Ministry of Foreign Affairs as part of the EduApp4Syria-competition. NTNU eduApp4Syria release, no new major features, small fixes and added analytics for crash reporting, acquisition and player progression. 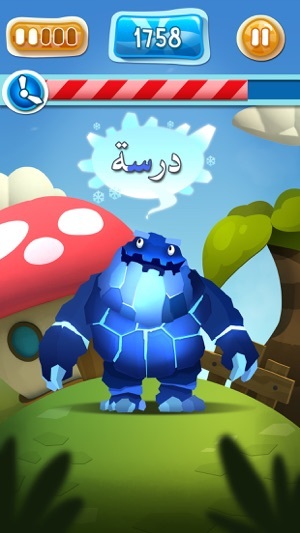 Feed the Monster makes learning Arabic fun. Friendly monster "Washoun" takes you through the Arabic letters along your journey, and kids love the colorful and bright game world. Would definitely recommend to parents with children ages 5-10. 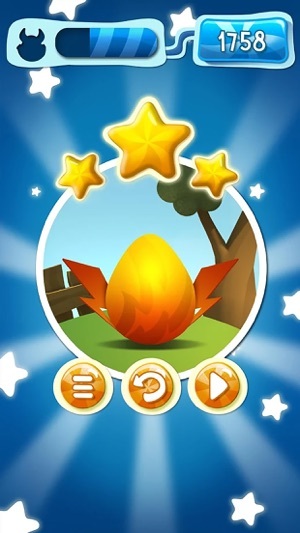 This contest-winning game is built specifically for Arabic children on the move - #SyrianRefugees. Not only does it help them learn to read and write, but it helps them have fun and attain some level of normalcy amidst their disrupted education. Brilliant all around. 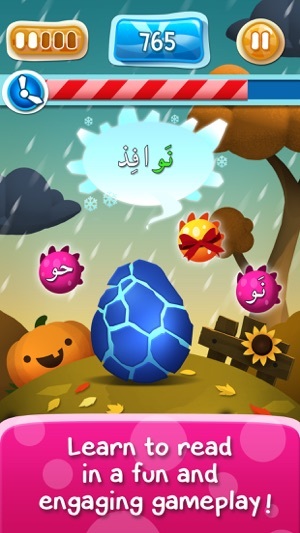 This game is very engaging, despite the fact that I do not speak Arabic. 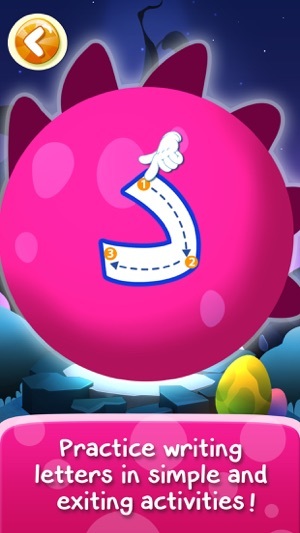 After playing for a short time, I learned several letter. 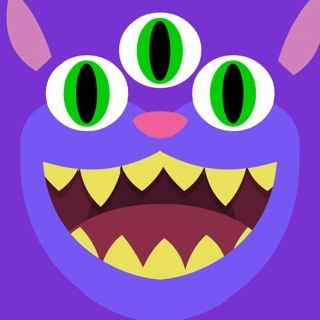 © Feed The Monster inc.